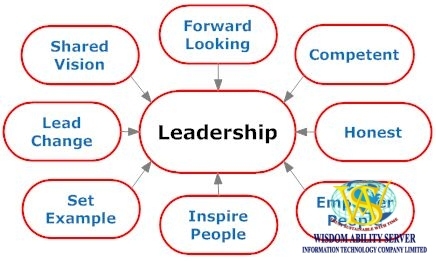 An effective team leader has a variety of traits and characteristics that encourage team members to follow him. Team leaders naturally possess certain qualities, such as compassion and integrity, or learn leadership skills through formal training and experience. The qualities of an effective team leader inspire the trust and respect of the team and stimulate production within the workplace. Effective team leaders communicate clearly. Quality verbal and written communication skills allow leaders to present expectations to team members in a way workers can understand. Effective communication skills also allow team leaders to listen to the input of others. Effective team leaders possess exceptional organizational skills. Organizational skills help team leaders plan objectives and strategies, which allow team members to perform optimally. Organized team leaders put systems in place that maintain order and guide team members toward meeting company goals and objectives. An effective team leader is confident in his abilities, as well as confident in the abilities of his team members. A confident leader is secure in the decisions he makes that affect his team. A self-confident team leader also reassures team members of his authority within the organization. A quality team leader is respectful of his team members. A respectful leader empowers employees by encouraging them to offer ideas about decisions that affect them. This lets team members know that the leader respects their input and opinions. A quality team leader treats team members fairly. He is consistent with rewards and recognition, as well as disciplinary action. A fair leader ensures all employees receive the same treatment. An effective team leader is honest and open with his team members. Leaders who possess integrity gain the trust of team members because he does what he says he will do and treats others the same way he wants to be treated. Influential leaders help inspire the commitment of team members to meet company goals and objectives. Influential leaders also help manage change in the workplace by gaining the confidence of workers through effective decision making and communication. Effective team leaders know how to share leadership through delegation. Delegating certain tasks to trustworthy team members allows the leader to focus on improving workplace functions and production. Effective team leaders are powerful facilitators. As a facilitator, team leaders help workers understand their goals. They also help organize an action plan to ensure team members meet their goals and objectives more efficiently. Team leaders utilize negotiation skills to achieve results and reach an understanding in the event of a workplace conflict. Team leaders who negotiate effectively streamline the decision-making process, as well as solve problems for the best interest of everyone involved.